Having my oldest daughter home for “official” preschool at home was a truly unforgettable experience. 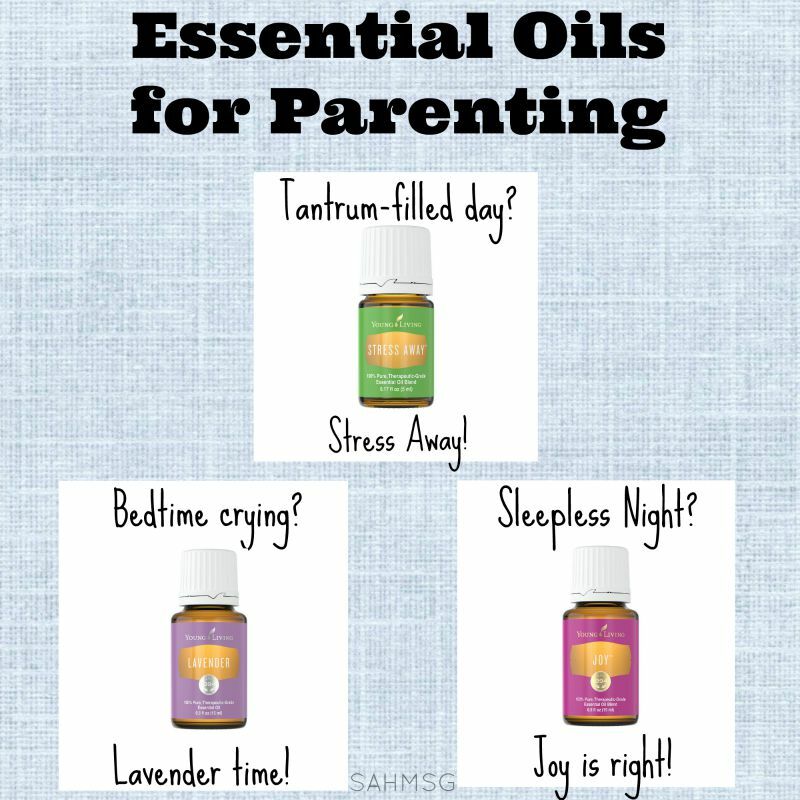 I have always taught my children at home with learning activities when they were infants, toddlers and preschoolers. After looking around for a pay for preschool in the San Diego area, we decided that preschool at home was going to be best for my daughter and for our family as a whole. My oldest son was in public school at that time, and his schedule locked us into a regular routine. 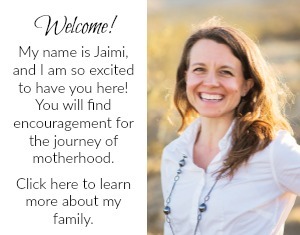 Having twins on top of the older two, as well as some concerns over attention span, guided me to make the decision to simplify our life as much as we could. That is why after thinking about sending my daughter to preschool, we ultimately chose home. 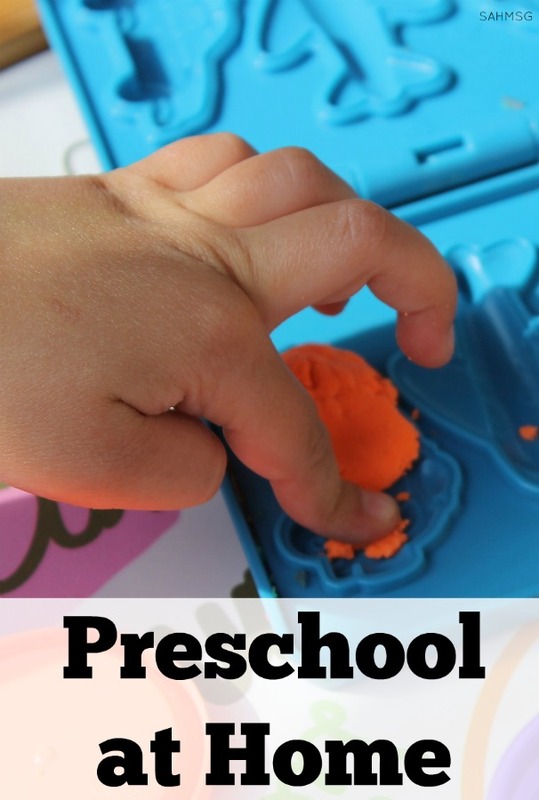 If you are trying to decide whether to send your child to preschool or not, check out these tips before you pay for preschool. The resources you will find on this page are the activities day-by-day that we used as our preschool at home curriculum. It is created by me, but I had help. I taught preschool before becoming a mom. I looked back at my preschool assessment form and my kindergarten assessment form to guide my lessons, but mostly I followed my daughter’s lead on what she needed to learn. She was reading before entering kindergarten, so I’d say these activities worked well! I don’t think adult-guided teaching is a bad thing. It can mesh well with child-directed learning. The two can exist together. After all, I know what my daughter needs to learn. I know what her interests are, so I just combine the two and we get a beautiful child-centered curriculum that cost me nothing but (basically) construction paper and markers. There are many additions to a curriculum for preschool at home that you can add as your budget allows. 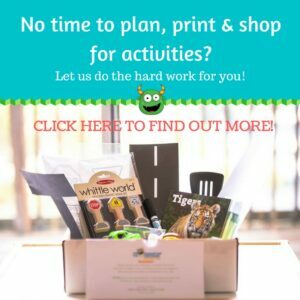 I will share some of the activity boxes for preschool I have reviewed. I did work them in to my preschool curriculum for our learning at home. They are a great asset especially if you are not ready to create your own curriculum at home. Every day of preschool we started with calendar time and a few shared reading songs and poems. We only worked on focused preschool activities about 2 days per week. My daughter was 4 ½ when we started preschool at home, and started Kindergarten knowing how to read. This 2-day a week schedule worked because we attended a library storytime one day a week and that alternated with our MOPS group meeting. At MOPS childcare, she had a “preschool” environment while I was with the moms. It was flexible enough for our busy family. I also add in journal time for preschool. This is a simple way to invite your child to write, trace, and draw. We used a basic preschool journal idea and incorporated it at the end of almost every preschool day at home. My daughter loved taking it out other times too to write or draw as she was inspired. 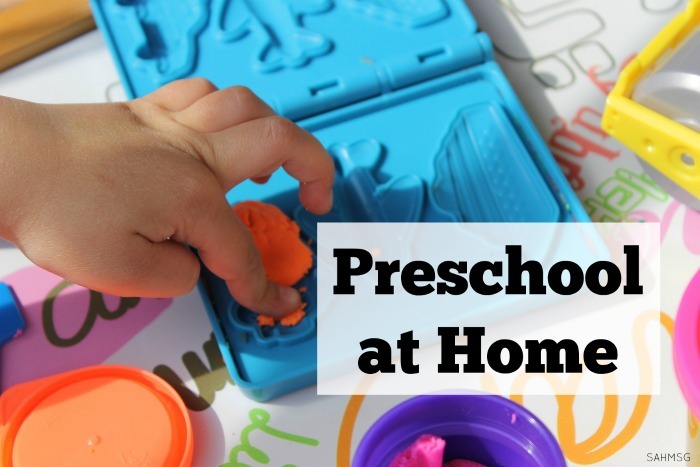 You will need less time focused on preschool at home than if your child goes to a preschool program. Why? The kids play a lot in preschool-a good thing-but something we can do at the playground, at the library, or at playdates. Most of the focused activity time in preschool is only a couple of 30 minute sessions within that 2-3 hour time at preschool. This is developmentally appropriate for preschool aged children, but it can also limit what the kids learn. I loved that preschool at home was flexible. There was no driving to drop off and then back to pick up. If we had a playdate or appointment in the morning, we could do our preschool time in the afternoon. We also had the ability to cut the activity time short, or extend it based on my child’s interest and my time. Let’s be honest, this is Preschool, it is not the SATs, it will not make-or-break your child’s future learning. There is information that shows the universal preschool idea does not succeed in helping children become great students, so moms and dads, you are the key. Your time with your child is the key to building a solid platform from which your child can take on any learning or personal challenge that comes there way in life. Big ideas start at home.